In just a few days, I will start (and hopefully finish) my first marathon. I have been specifically training since early November. In that time, I have been trying various equipment on my long runs and have settled on the following gear set up. 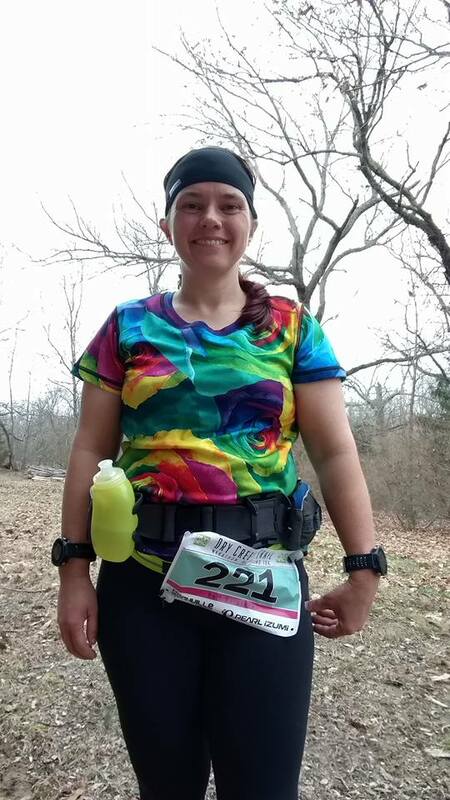 Primary fuel belt: Amphipod RunLite Xtech 4 Plus. I found this on sale at REI and grabbed it. I have a couple of other Amphipod belts and I really like how sturdy the actual belts are. The configurability of this one was very attractive. Everything can come completely off the belt, which means everything can be positioned exactly right. The belt came with 4 10.5 oz water bottles which are essential for my long runs where I can't refill my water bottles. Each bottle is shaped well and feels pretty good in my hand. The bottle holders have 4 separate hooks to hold each bottle, which works better than their old way of holding the bottles. I was always worried about the old water bottles popping out of their holder. As long as I get these snapped into place, that is not a problem or worry with these. The bottle holders themselves do not move horizontally on the belt once they are positioned. The water bottles each came with the new "Jett-Squeeze" tops instead of pop-tops. I thought that was a great idea, until I put a Hammer Fizz tablet in them and had tiny geysers shooting out with every step because the contents were under a little pressure. No big deal, I ordered a set of pop-tops for mine and no more geysers. For the marathon, I will only use 2 of the 4 bottles and remove the extra bottle holders. One bottle will be positioned in the front by my right hand for quick on the go access. I will refill this one from the aid stations. The other bottle will be diagonal from it on my lower back on the left to balance the weight out. This will be my extra water if needed or in later miles, I might start getting Powerade in one bottle and water in the other. My belt came with one pouch that can be positioned anywhere on the belt. I like that a lot since my other Amphipod belts have pouches, but they're positioned at my lower back and can't be moved. This pouch is big enough to hold my Moto X Pure phone, which is a good sized phone. I can also slide some ID, cash, and a vehicle key into the inner pocket that keeps things away from my phone. The little loops on the outside of the pouch will securely hold 4 fuel gel packs. The gels are easy to pull out when needed, but hard to get in and I have yet to see one budge after I put it in until I go to pull it out. I liked the pouch so much, I bought a second one. I use it for chapstick, kleenex (don't always count on the porta potties having tissue!! ), and a small container of Body Glide. When I need an extra place to stash a tube of Shot Bloks, it fits easily. I can also put gels on this one if I need to. The last thing on my belt is a catch-all container. They call it a SnapPod module. This is on the old style of bottle holders and can move horizontally on the belt easily. That's good and bad. When I have all 4 water bottles on my belt as well as this SnapPod, the SnapPod will eventually wiggle over next to a water bottle and start clanking. That's a bit annoying, but a quick shove puts it back in the middle and it takes a while before it makes it way back to the nearest water bottle. The SnapPod is great for holding a couple of extra Picky Bars and I use it for trash. I have it positioned directly in the middle of my back, but it's very easy to pop the top open, pull out what I want or slide in a used gel pack and pop the top back closed. The belt itself is comfortable. The front water bottles do bounce a little when they are full, but not enough to bother me. I prefer to have the belt slung down further over my hips rather than at my natural waist and this belt works well for that. As I get a little sucked in during the run, I can adjust the tension of the belt easily, especially when I don't have all 4 bottles on it. This was at the end of my trail half last week wearing the belt. I had a bit of trouble with my bib number, so this is a little higher than I normally like to wear the belt.